A computer virus is a computer program that can copy itself and infect a computer without permission or knowledge of the user. The original may modify the copies or the copies may modify themselves, as occurs in a metamorphic virus. A virus can only spread from one computer to another when its host is taken to the uninfected computer, for instance by a user sending it over a network or carrying it on a removable medium such as a floppy disk, CD, or USB drive. Additionally, viruses can spread to other computers by infecting files on a network file system or a file system that is accessed by another computer. Viruses are sometimes confused with computer worms and Trojan horses. A worm, however, can spread itself to other computers without needing to be transferred as part of a host. A Trojan horse is a file that appears harmless until executed. In contrast to viruses, Trojan horses do not insert their code into other computer files. Many personal computers are now connected to the Internet and to local-area networks, facilitating their spread. Today's viruses may also take advantage of network services such as the World Wide Web, e-mail, and file sharing systems to spread, blurring the line between viruses and worms. Furthermore, some sources use an alternative terminology in which a virus is any form of self-replicating malware. Often the term is shortened to simply trojan, even though this turns the adjective into a noun. There are two common types of Trojan horses. One is otherwise useful software that has been corrupted by a hacker inserting malicious code that executes while the program is used. Examples include various implementations of weather alerting programs, computer clock setting software, and peer to peer file sharing utilities. The other type is a standalone program that masquerades as something else, like a game or image file, in order to trick the user into some misdirected complicity that is needed to carry out the program's objectives. Spyware is computer software that collects personal information about users without their informed consent. The term Spyware, which was coined in 1995 but wasn't widely used for another five years, is often used interchangeably with adware and malware (software designed to infiltrate and damage a computer respectively). Personal information is secretly recorded with a variety of techniques, including logging keystrokes, recording Internet web browsing history, and scanning documents on the computer's hard disk. Purposes range from overtly criminal (theft of passwords and financial details) to the merely annoying (recording Internet search history for targeted advertising, while consuming computer resources). Spyware may collect different types of information. Some variants attempt to track the websites a user visits and then send this information to an advertising agency. More malicious variants attempt to intercept passwords or credit card numbers as a user enters them into a web form or other applications. Spamming is the abuse of electronic messaging systems to send unsolicited bulk messages, which are generally undesired. While the most widely recognized form of spam is email spam, the term is applied to similar abuses in other media: instant messaging spam, Usenet newsgroup spam, Web search engine spam, spam in blogs, mobile phone messaging spam, internet forum spam and junk fax transmissions. Phishing is essentially an online con game and phishers are nothing more than tech-savvy con artists and identify thieves. They use SPAM, malicious Web sites, email messages and instant messages to trick people into divulging sensitive information, such as bank and credit card accounts. Guys whenever you download a software or any program ; along with the installation file you get a bunch of other files as well that are required to make that software full version..! If you wonder what these files are and how they are to be used then this article is for you . Here i explain each and every item like keygen, patch , crack etc..in sufficient detail..
Keygens are used to supply you with a valid serial number for the aplication. Some will give you a user name ,organization/company name and a few more then that. For the most part you just need to copy and paste the information generated in to the registration (Some will not let you paste the information with the mouse, If this happens try using the keyboard shortcut "Ctrl+v". ) Make sure the keygen is the right one for the version of your software, some will work on more then one version though. 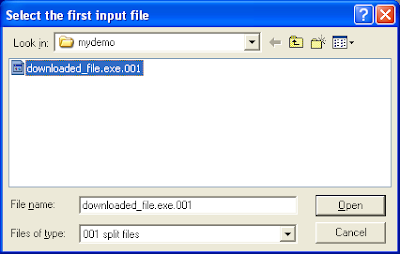 A patch is program that is applied inside of the software folder. (example- go to drive C in my computer then programs then to the folder for the program you just installed) You then copy the patch and paste it into the folder. many times this will replace a part of the program with the same name, if you get this file already exists do you want to replace it? say yes. A patch is almost always version specific, make sure you use the correct one. Crack is sort of a generic term and can apply to any fix but many times you just click it and it will register the program by making changes to you computers registry. This is fairly simple, just install the program and your done. this is a program that is installed in the application folder and it just makes the program think the trial version has not expired. You get these in many downloads but when you click on them they open up a system information file. What you need to do is right click on it and open as and select note pad. you can now read how to apply the crack. you can also drag it to a blank note pad or rename the file to .txt. Hope this helps with questions about these. The best way to download something from the internet is downloading it through a download manager. As always I would suggest you to use IDM. 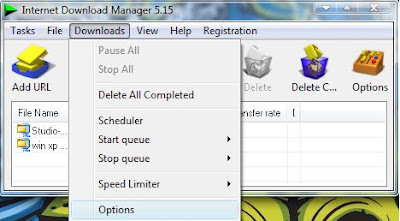 This posting is about how to get the maximum download speed in IDM. 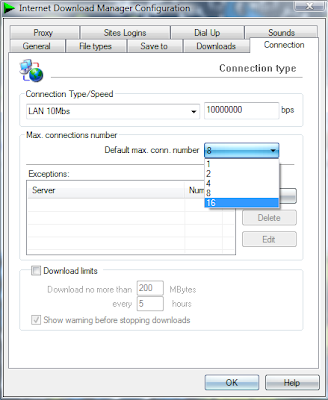 By changing the max connection from 8 to 16 you will notice a considerable increase in download speed as now IDM downloads from 16 parallel connections per file in comparison to the previous 8. Guys as u know about till 3-4 months back Adrive was considered as the best free file hosting service as it used to provide good download speeds , supported download managers and what not. But of late Adrives service has gone from good to bad and from bad to worse. 1]- max 5 downloads are provided for a file by adrive.If alerady 5 users are downloading a file you will have to wait then.THIS EXPLAINS THE PUBLIC FILE BUSY EROR THAT YOU OFTEN GET..! 2]- recently all the files that i had uploaded on Adrive were unshared by them, that means that all d adrive links that i provided on DOWNLOADS N HACKS after months of uploads became obsolete. I was devastated, but had to take it in my stride. So now if you find an adrive link on DOWNLOADS N HACKS that does not work just report it and i will rectify it as soon as possible. 3]- if a file has been deleted from d adrive server then it shows up a message file no longer available.In this case there is now way that it could be restored. If u have some questions or any further issue pls feel free to ask. 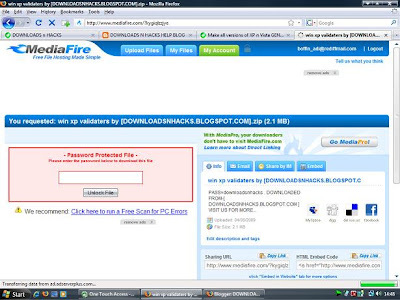 Mediafire giving Downloading PROBLEMS...READ ON.. When we talk about Mediafire then one thing that comes to mind is that it is the best free filehosting service as it provides lightning fast simultaneous downloads. But since nothing is perfect in this world , the same logic applies to MF as well. Sometimes when we visit a download link we receive errors even though the file is present on the server or even worse we are unable to download the file. 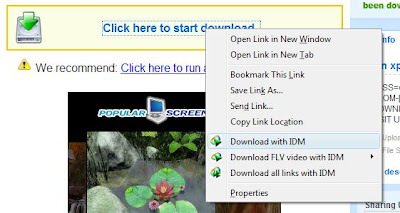 4]-IDM download window will appear.Then click on DOWNLOAD. 5]-Sometimes a particular link gives an error like Server busy or maybe something else.In all these cases the solution is to open the link in some other browser like Opera or IE or Chrome. This means that the file is no longer available on the MF server.If this happens with any of the link provided on DOWNLOADS N HACKS then contact me and i will reupload the file. If you still face any problem in downloading from MF just leave a comment here or in the shoutbox of DOWNLOADS N HACKS and i will get back to you as soon as possible. Movie Not Playing..How it play it..
Guys as you know there ar numerous formats in which a movie can be encoded like avi, divx, rmvb, xvid, mpg, etc. etc. By default windows is set to play all movie files in Windows Media Player and more often than not it gives problems in playing movie files. I have used various codec packs and the best that i feel is KLITE CODEC PACK. It is very easy to use.K-Lite Codec Pack is a collection of codecs and related tools. Codecs are required to encode and/or decode (play) audio and video. The K-Lite Codec Pack is designed as a user-friendly solution for playing all your movie files. With the K-Lite Codec Pack you should be able to play 99% of all the movies that you download from the internet. If you still face any problem in playing a movie then just leave a comment here or in the shoutbox of DOWNLOADS N HACKS n i will get back to you as soon as possible. VCD is an mpeg1 based format, with a constant bitrate of 1150kbit at a resolution of 352Ãƒâ€”240 (NTCS). VCDs are generally used for lower quality transfers (CAM/TS/TC/Screener(VHS)/TVrip(analogue) in order to make smaller file sizes, and fit as much on a single disc as possible. Both VCDs and SVCDs are timed in minutes, rather than MB, so when looking at an mpeg, it may appear larger than the disc capacity, and in reality u can fit 74min on a CDR74. SVCD is an mpeg2 based (same as DVD) which allows variable bit-rates of up to 2500kbits at a resolution of 480Ãƒâ€”480 (NTSC) which is then decompressed into a 4:3 aspect ratio when played back. Due to the variable bit-rate, the length you can fit on a single CDR is not fixed, but generally between 35-60 Mins are the most common. To get a better SVCD encode using variable bit-rates, it is important to use multiple "passes". this takes a lot longer, but the results are far clearer. CVD is a combination of VCD and SVCD formats, and is generally supported by a majority of DVD players. It supports MPEG2 bit-rates of SVCD, but uses a resolution of 352Ãƒâ€”480(ntsc) as the horizontal resolution is generally less important. Currently no groups release in CVD. This format offers the best compression to quality ratio and has been developed by REAL Inc. So in a way a movie in RMVB format might be of only 300 mb but the quality is at par with an XVID of 700 MB.This format plays exclusively in Real Player. So yet another mystery solved i guess..! !